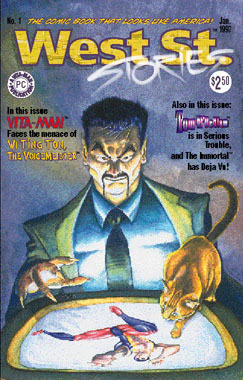 The felined front cover of West Street Stories #1! The original is done in water color and gouache (a type of opaque water color). The technique is meant to pay homage to the great pulp covers of the 30’s through the 50’s. Click here if you wish to see the inspiration for this cover.